When I arrived at the Hertz rental desk yesterday, excited to get my hands on a muscle car, they told me that some clown had returned the car with a crack in the windshield and it wasn’t available for rental, and my face dropped. The woman on the counter saw my obvious distress and offered me a choice of an Audi Q7 or Q2, and the possibility of swapping it when the other Mustang was returned on Saturday, so somewhat sadly I drove away with a small SUV and not the car of my dreams. 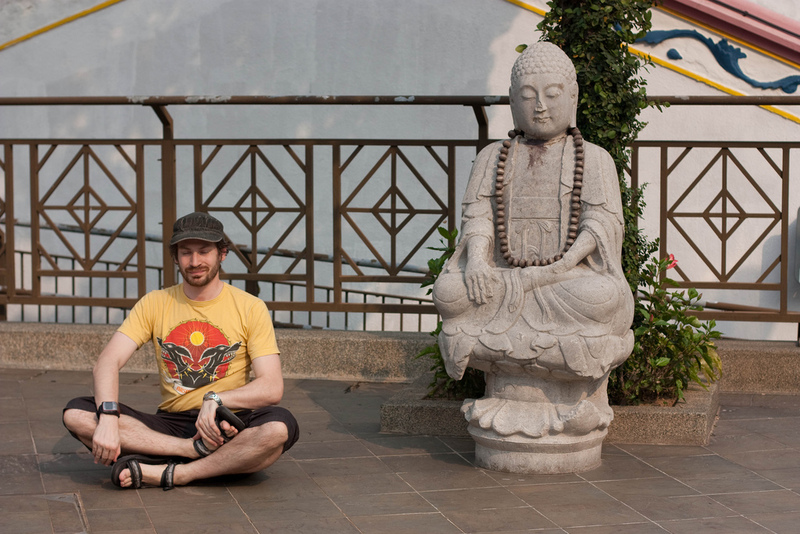 Then when I got to the Airbnb, I managed to break the trusty travel adaptor that I’ve had since I went to Taiwan in 2008, and I had no proper dinner, and it all felt like a real low, after several weeks of feeling low. So I went to bed and was occasionally awoken by trains, and by people driving very loud cars outside. This morning, I tried calling Hertz about my potential replacement car, and I had to call, and call, and call, until finally somebody nice managed to leave a message for the office to call me back, and while I was losing a game of Blood Bowl to a nice Portuguese person, they finally rang me with the glad tidings that I had a Mustang waiting for me. I drove back to the airport post haste, trying to avoid the fuel meter dipping below 8/8ths full. When I arrived, I saw the magnificent, boat-sized monstrosity that was soon to be mine. An enormous, look-at-me don’t-look-at-me lump of machinery. This was going to be fun. And it is, but a mix of emotions. The initial roar as the engine starts, or when you blip the throttle, or the way the engine warbles as you put your foot down, they all sound glorious. But at low speeds it feels sluggish and heavy, and it’s so big I’m scared of ramming it into a wall. 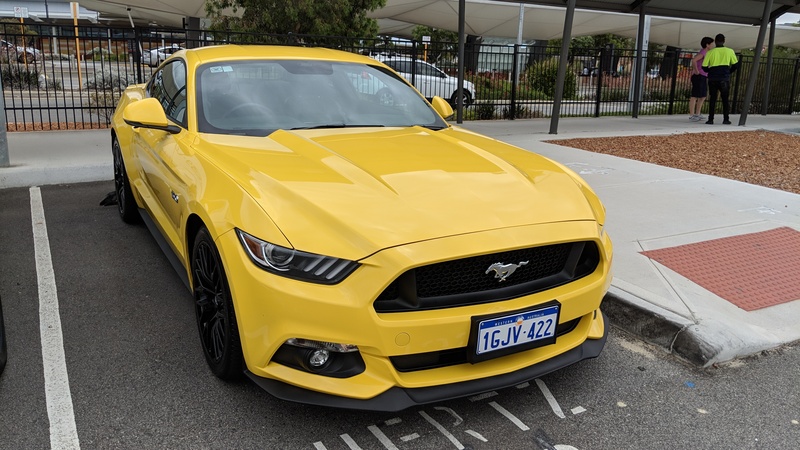 As I drove north, looking for adventure, I kept seeing police cars by the road, next to pulled-over Holdens and other bogan mobiles, so I stuck to the speed limit, which is when the Mustang isn’t much fun. This is a car that is a joy only when it’s flirting with the edge of legality. Also, there’s a certain feeling of paranoia, that everyone else is judging you for not going fast enough. I had a lady driving up my backside in a Suzuki Swift for 10 miles this afternoon, and occasionally I’d tread on the loud pedal and be going 70 km/h from a standing start. And then she’d gradually catch up with me. I began to feel like the Ferrari driver I pursued round the South Circular once in my filthy VW Golf diesel. Then there was somebody else (in a Golf, no less) who kept trying to overtake me, until we were alongside one another as some traffic lights changed, I booted it, the rear end of the Mustang went all squirrelly while it laid down rubber on the road until the traction control kicked in… and the Golf stopped chasing after me after that. So in short, fun, but I’m not sure I’d do it again. Also, too scared to park it in the garage here, because it’s so damn big. Mustang doesn’t even feature on my radar, but it looks nice and definitely a good experience to have had/to have heard about someone else having so I don’t have to experience it.